Manufactured out of the solid surface Miraklon® in an innovative casting process up to six different surface structures can be provided. 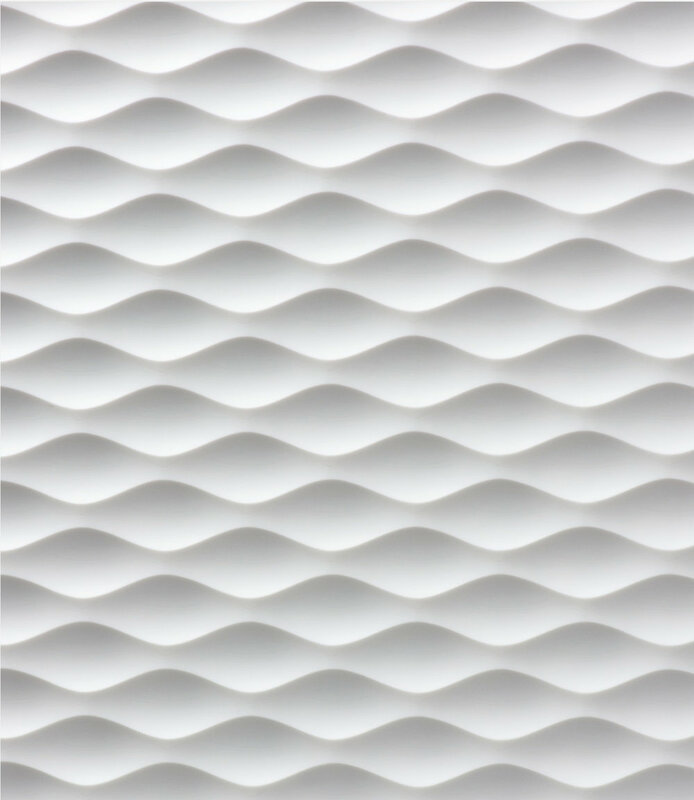 These include wave patterns, as well as geometric designs or a decoration which simulates the shape of bricks.The solid surface is not milled or deformed subsequently, as the surface structures are created in the casting process. The Frescata casting technique is particularly suitable for structures with a pronounced depth profile. In Frescata moulds, panel materials from well-known solid surface manufacturers are brought into shape under the influence of heat. The positive and negative shaping can be seen on the front and back. 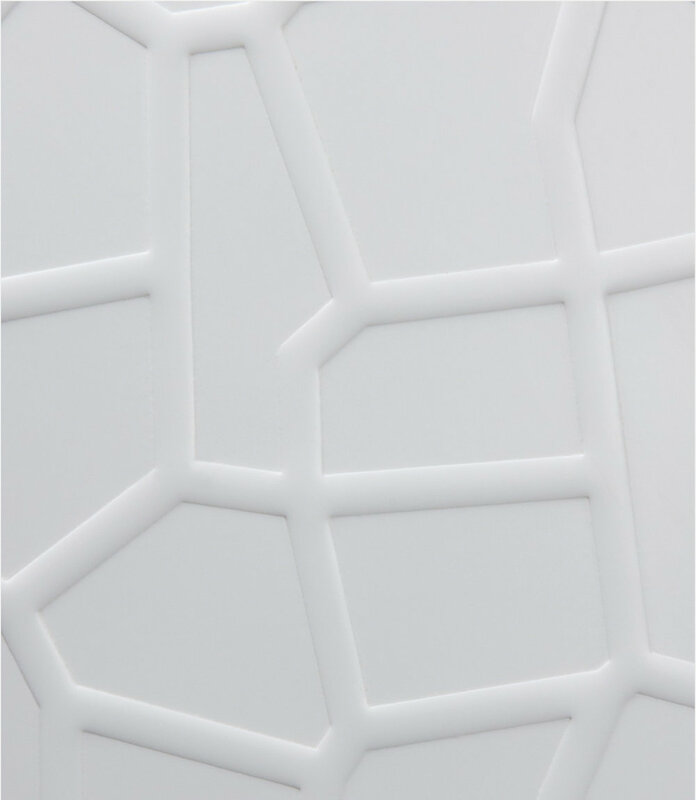 Our standard product range includes a variety of structures – from waves to geometric shapes to organic free-form shapes. The Frescata milling technique works across materials. Whether it is solid surface materials such as Corian and Hi-Macs, wood materials, gypsum fibreboards or acrylic, we get the best out of each of our premium materials. 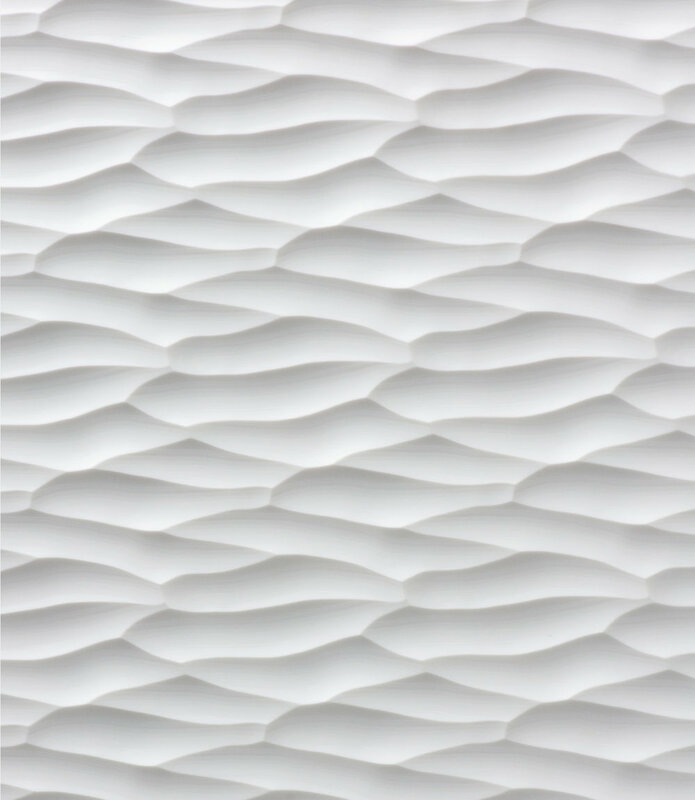 Lines, waves and ornaments are part of the standard range of milled textures. In addition, numerous customizations with 3D deformation, backlighting, varnishing or inlay are possible. 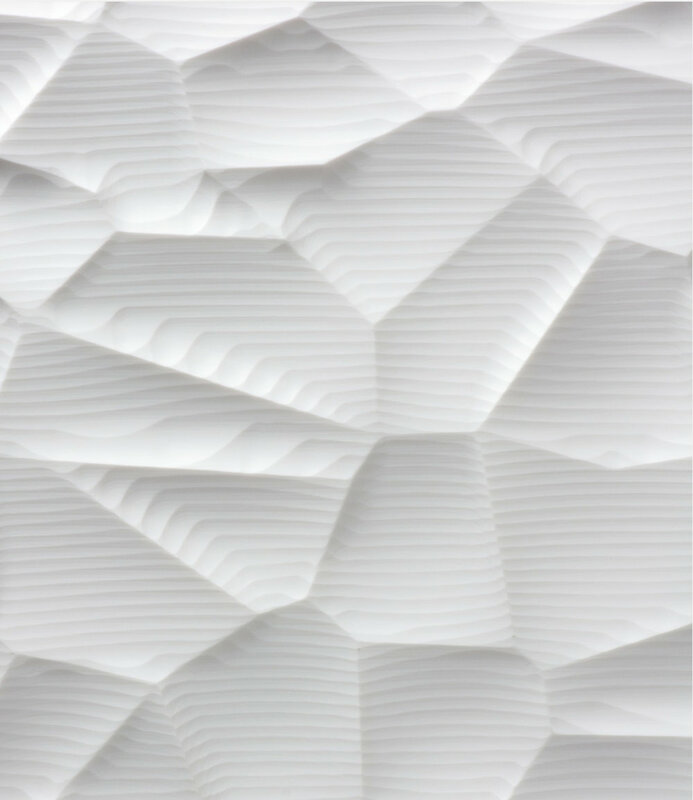 From simple wave structures to artistic ornaments to photorealistic images – Frescata is a modern kind of creative surface design. With our processing techniques of casting, forming and milling, almost everything is possible for customising counters, wall claddings or entire rooms. In addition to a collection with more than 30 structures, designs, logos and letterings can be realised according to the customer’s requirements thanks to state-of-the-art technologies.